After a year of complete stagnation and decline, the Chicago Bulls aren’t going to simply stick to what they have and roll with it again. The 2016-2017 version of this team will be very different than the one we saw last year. Pau Gasol isn’t going to stay for $7.7 million. He’ll opt out, but who knows if he re-signs with Chicago or somewhere else. It seemed like the team fell out of love with him. These playoffs are showing us the importance of having a big man on the team, and that small ball isn’t everything, but Gasol’s defensive issues and fading offensive attributes should help the Bulls move on from him. Joakim Noah is a free agent. He’s hitting the market at the worst possible time for him, missing most of the season due to injury, and even before that becoming a bench player under Fred Hoiberg. And in the last few days his name has come up with about every team that needs some help in the paint. One thing to remember about Noah: He isn’t the defender and rebounder he was two or three years ago, and his offense has serious limitations. But it’s not like the Bulls have a replacement ready to play right away. Even if in terms of ability the Bulls can find someone as good as both of these players leaving, there are other factors to consider, especially leadership. Noah, not Derrick Rose, was the leader of the Bulls team that made the 2011 Eastern Conference Finals. If Rose led, it was by example and his ability on the floor. We all know where that is right now. And while the whole Jimmy Butler vs Rose thing is getting too much hype from the media without any substance to base it on, there is something off there. Both players can’t have the ball all the time, and both players seem to have a personality clash that isn’t helping the team find the one player pulling it forward. For a group that struggled maintaining consistency, especially in their offensive form, the battle between Rose and Butler, and maybe others, for control over this team in style and in leadership, needs to be resolved. Aaron Brooks is a free agent again, and the Bulls, who should have about $23 million in cap space to use, can’t think about bringing him back again. The mistake they made last year with Jeremy Lin? This is their opportunity to rectify, although Lin might not come if he knows he’ll fall into a situation of playing behind both Rose and Butler, not getting more than 24 minutes per game and even more importantly, not getting the amount of touches he needs to have. There are more players the Bulls might consider moving on from, but the road from here towards championship contention seems to be longer than just one offseason. 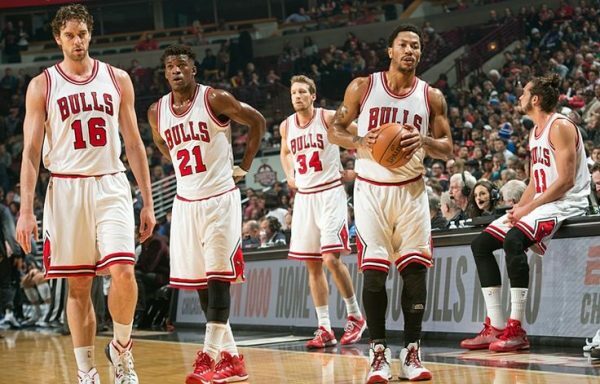 The Bulls relied too long on the premise of good defense and the hope of Rose coming back like his former self. Last season he finally played something that looked like a full season, and had his good (and bad) moments in it. However, relying on him to end the championship drought and be the city’s basketball savior is simply living in the past. The Bulls need new players, and especially a new approach.